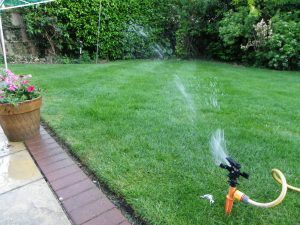 A good reliable watering system will help…. The 2016/17 UK winter, in general, has been really dry. Although there was good growth potential in March, growth slowed in April due to those Northerly winds and even the first half of May looks unseasonably dry. We do suggest you begin weekly watering now; it may cost a few pounds but it’s a good investment to support the costs already invested.